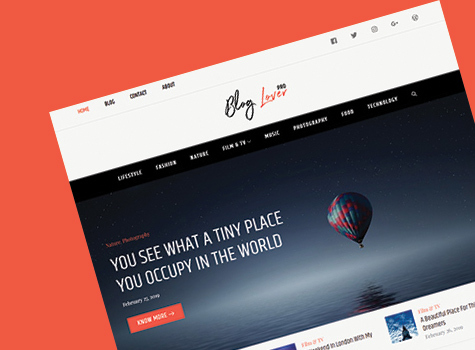 Need a blog theme with minimalist approach to design? Checkout Blog Lover Pro. 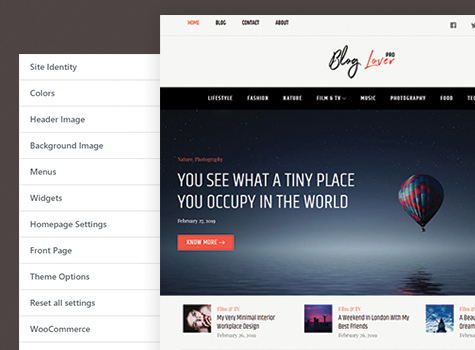 Blog Lover Pro is a simple WordPress blog theme with multiple menus and it comes in one, two and three column layouts. 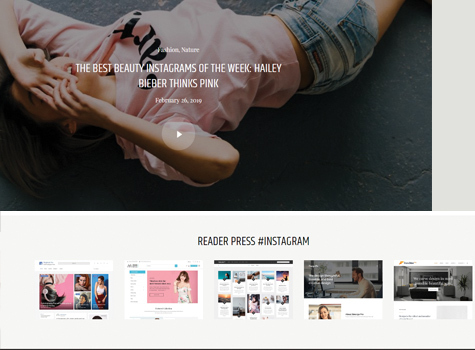 Blog Love Pro allows you to easily customize colors and layout options. 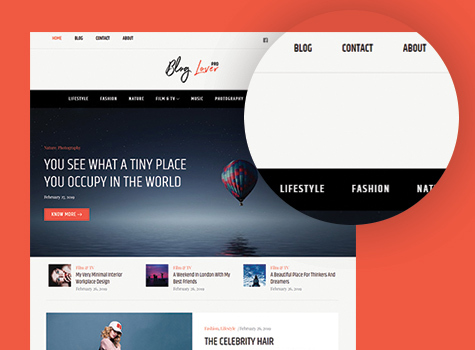 Blog Lover Pro includes features such as a slider area, video, Instagram, fully responsive design. It is quick and easy to setup and looks great on all devices and screen sizes. 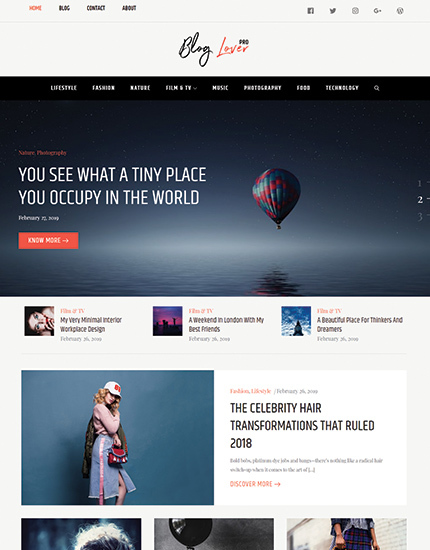 A theme that organizes your content from the website in clean and minimalist way in the multiple menu style is what you want for your blog, isn’t it? It saves so much of time and energy and your site will pass for a website with good content and aesthetic presentation of the content. This theme is clean, and has a modern edge to itself. It has designated space for advertisements that blend in with your content and also for the advertisements that don’t. It is well organized with a contemporary approach to the design. Video and Instagram are the visual representation of your content and their aesthetics. So, we have space for videos and Instagram features which also helps you to attract more followers and keep a personal touch them, since you have your instagram directly linked to the website, this feature makes it easier for you to creatively boost up your presence in the world of media. Your blog or your website has to have a touch of your personalization in it, not just the content but also the design of the site, organizing such as where to keep which one of your contents, which photo or presentation to display first and how to manage everything. 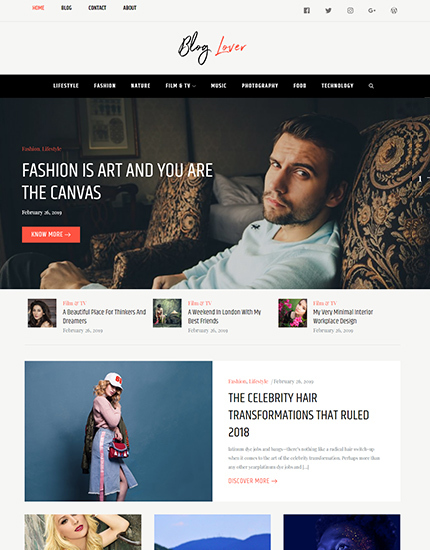 This theme provides you with super easy and powerful customization options which help you keep the halter of your website in your hands.